Review of the EHGNA Carado Class B Motor Home: Perfect for Compact Traveling! Are you a minimalist while traveling? 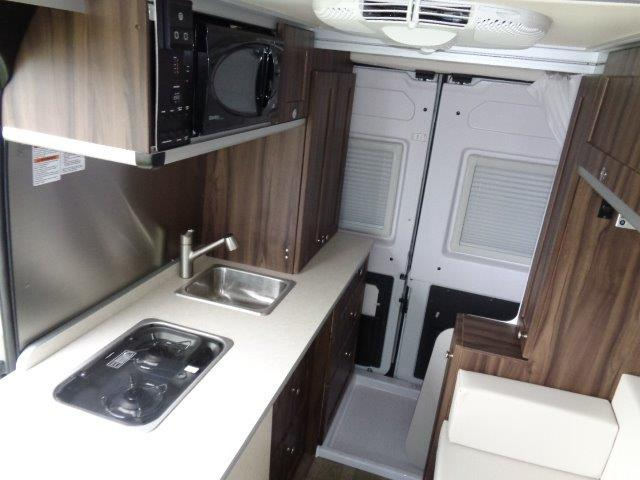 If you love having all of your needs met in a compact RV that has the luxury and amenities of a full size recreational vehicle, check out our review of the EHGNA Carado Class B motor home below. You’ll be ready to throw your backpack in and hit the road! Our 2019 EHGNA Carado Axion for sale sleeps two, and is perfect for either a couple or solo adventurers. 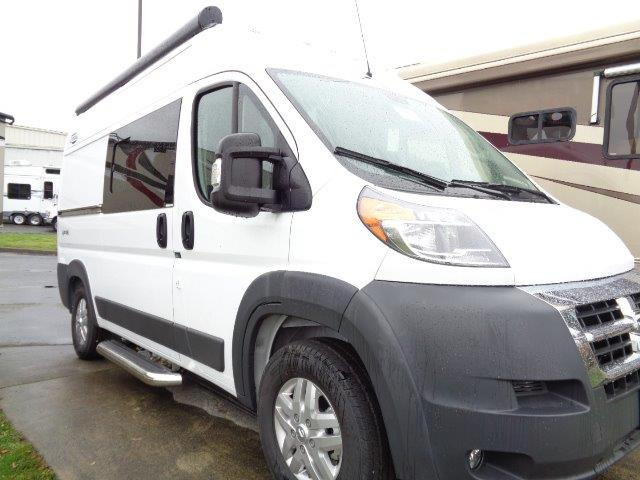 Its shorter exterior length of under 18’ and its Ram ProMaster 1500 Short Van chassis ensures a smooth ride, and is fully outfitted to go wherever you want to go. A complete kitchen, which includes a12V refrigerator, cooktop, microwave, and sink will easily handle your meal preparation, and you’ll find perfectly arranged cupboard space for your dishes and pantry items. You’ll find a full wet bath in the rear, so your convenience while traveling is guaranteed – no driving for miles with no rest stops in sight! Enjoy the front swivel captain’s chairs, and the dining area on a convertible sofa. The table provides the perfect place for meals or a board game. At the end of the day, convert the sofa into either a twin or double bed and call it a night! Each of the Carado models features ceilings at least 6’2”, so you’ll not find yourself stooping or cramped inside. 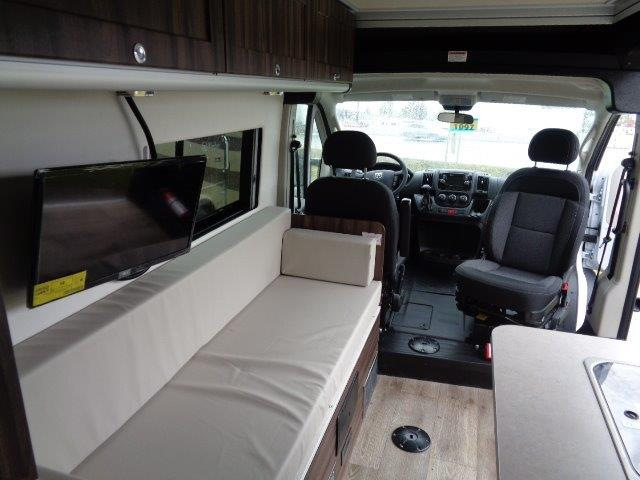 LED lighting is throughout the entire model, and you can always add on a few options that will make this the perfect RV for your needs – such as a 22” HD TV, a 400W lithium power module if you want to go off grid, or add in a stability program that helps keep you safely on the road regardless of the elements. Contact us today if you’ve already got your backpack packed and ready to go – we can help you pick just the right Carado model to get you off on your adventures!